The best purchase I ever made, was my ice cream maker. 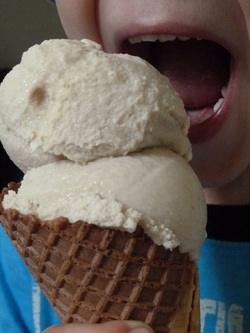 The fun I have trying new ice creams and the joy of seeing my son try them too. My son also helps in creating and testing new recipes. Also being able to share with friends and family, and seeing them enjoying some thing I created. In my books I have shared the recipes my son and I have tried and tested. Ones we share with friends and those that were so good we had to fight to stop eating them before we ate the whole thing in one sitting. 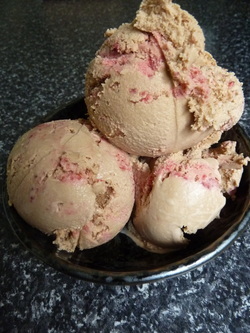 In my blog and in my tips section I talk about the things I have found out, what I have tried, and how I work out what to add to make a new ice cream, and how a change of one ingredient can change the whole flavour of the ice cream. Also ways to adapt a recipe to suit your taste, and diet. I made the recipes with ingredients you can get from most grocery stores and things you may already have in you pantry. I tried to keep them as simple and as easy as possible, and tasting great. Some times using only a few ingredients lets those flavours stand out. Most ice cream recipes call for full cream milk and full cream. I have tried ones with light cream, and skinny milk. They do come out tasting nice. One difference is the texture, they do become a little icy. All you need to do is let them sit for about 5 to 10 minutes before serving. Friends of mine have a son who can not have cream or milk, so I made one with just oat milk, vanilla and sugar. We chopped up his favorite cookie and added that in, as it was thickening up. It was so good he would not share with anyone. True test of a good ice cream. 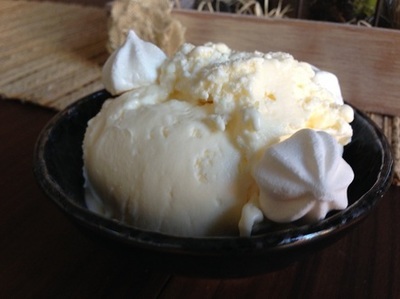 When I started making ice creams, I started with the basic vanilla recipe that came in the book with the ice cream maker. Then I looked for a few more ice creams I enjoyed or some of my friends favorites. I worked out how the different ingredients changed the flavour and the texture of the ice cream. When I think of a new ice cream, I work out the flavours I taste in it. Will I use white sugar, or dark sugar, add egg yolk or not. I hope as you read through my books and try some of my recipes, you will see and taste the differences, and be able to branch off and create some of your own ice creams. I sit with friends and we think of all kinds of new things to try. You really are only limited in time and by your waist line. Thats where sharing with friends helps! 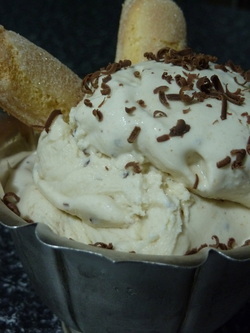 Try some of the recipes I have in my Ice Cream Recipes section. Click on one of the pictures below to take you quickly to that recipe.